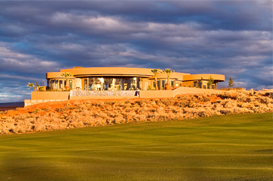 Sand Hollow is Southern Utah’s “Premiere Golf Destination,” featuring a 27-hole course. This championship course weaves its way through ancient red rock outcroppings and desert landscaping. The Sand Hollow Championship Course’s 15th hole was recently featured on the cover of Golf Week Magazine “Best Courses” edition, and was given Utah’s title “Best Public Course” for the second year in a row. The views from this course will take anyone’s breath away. These same views accentuate the real estate within the golf community as well. Sand Hollow resort specializes in bringing people together. The Dunes subdivision of Sand Hollow feature spacious homes with spectacular 360-degree views of Utah’s color country. These homes are perfect for anyone who is eager to get outside and get active. If you are interested in learning more about Sand Hollow communities or other golf course communities, please contact a member of my team. We are eager to share our love of this area with you. Also, please take a moment to use our free home search to view properties within Sand Hollow and other surrounding communities.